Look at this beautifully made sword holder. 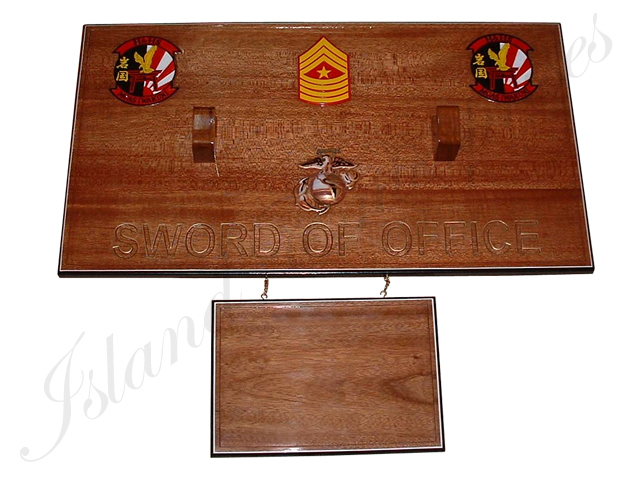 Another way of displaying your prized sword. Customize this with any patches / logos and text you want. And remember we offer a 100% money back guarantee if you are not convinced you have bought the best product available in the market. Contact Us for price and shipping quote.